The Masters of the Poster is a collection of 5 volumes published in Paris between 1895 and 1900 which featured the most valued and widely known poster art of the period. The publisher was the Imprimerie Chaix. 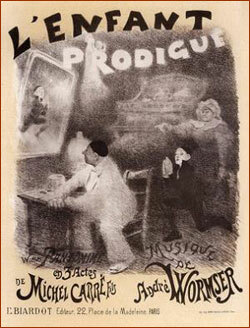 Jules Cheret, who invented the chromolithography technique in 1860 and is one of the most famous of all poster artists, was artistic director of the publication and painted several portraits of Georges Wague as Pierrot. The five volumes were annotated by Roger Marx, a well known art critic and historian. 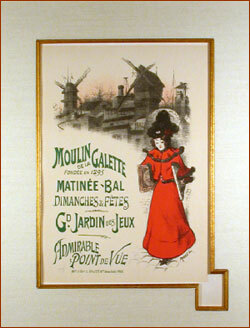 The Masters of the Poster included 256 plates, 67 by Cheret, considered masterpieces of the chromolithography technique and in some cases masterpiece art works as well. 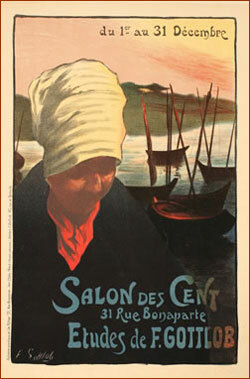 Half of works not attributed to Cheret are by French artists, including 7 by Alphonse Mucha, and 5 by Toulouse-Lautrec. 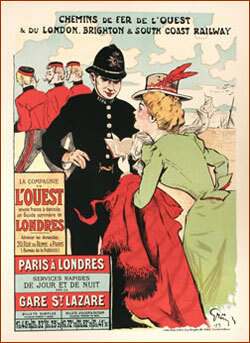 At the time of publication, poster art enjoyed great popularity in France and throughout Europe. 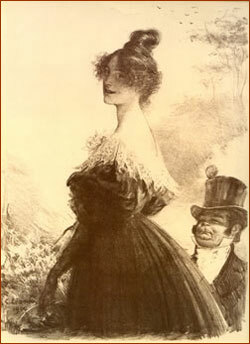 Described by Roger Marx as a people’s art form, posters of the day brought brought to life the manners and morals, the fashions and tastes, the thousand spectacles of public and private life of the period. (From the Preface to Volume 1 (1896). Georges De Feure: 5 works, plates # 10, 8, 130, 146, 199. Fernand Gottlob: 2 works, plates # 219, 239. Jules Grun: 3 works, plates # 103,159, 223. Charles Leandre: 2 works, plates # 206, special plate 15. Misti: 2 works, plates # 86, 215. Roedel: 4 works, plates # 75, 179, 195, 235. Willette: 6 works, plates # 14, 43, special plate 4, 142, special plate 11, 194. Copyright 1998-2014 by The Cornet Group.